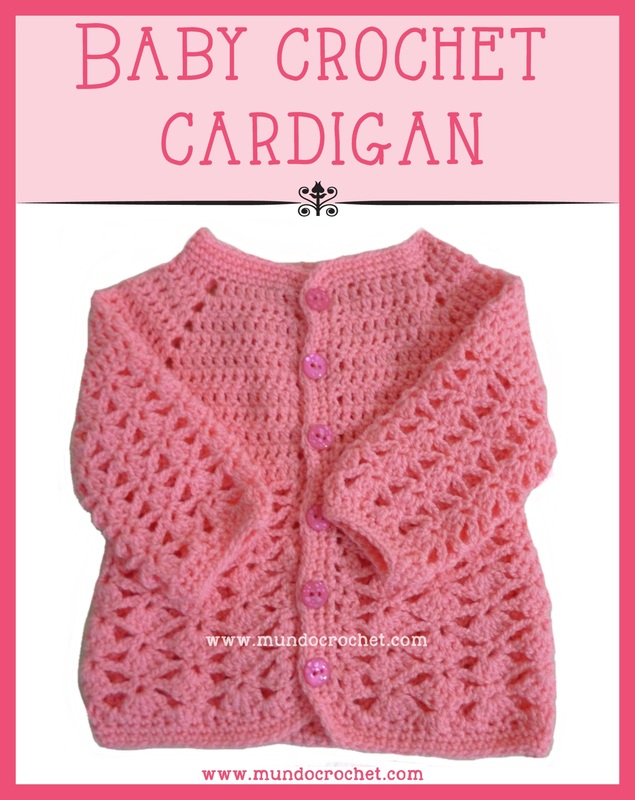 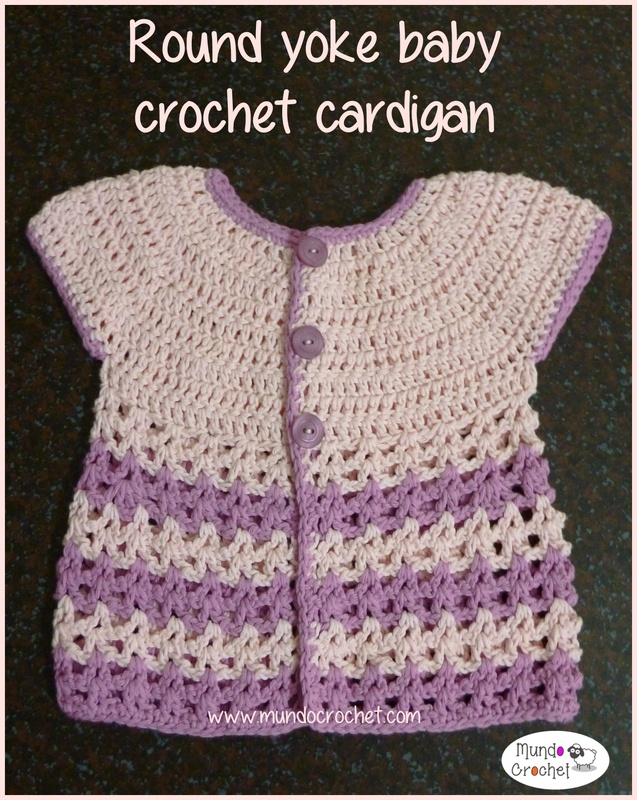 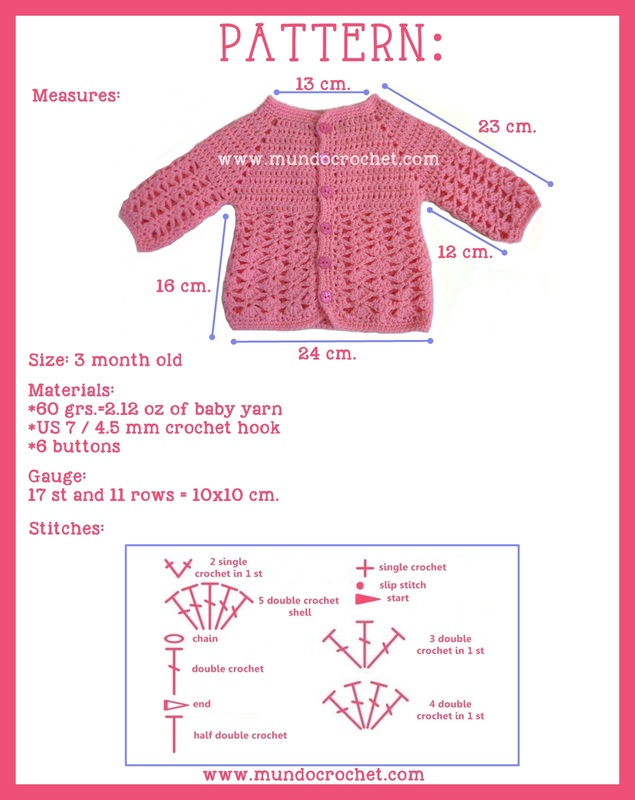 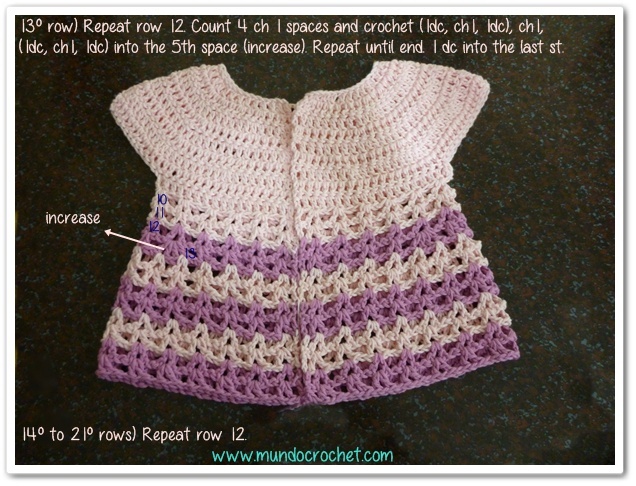 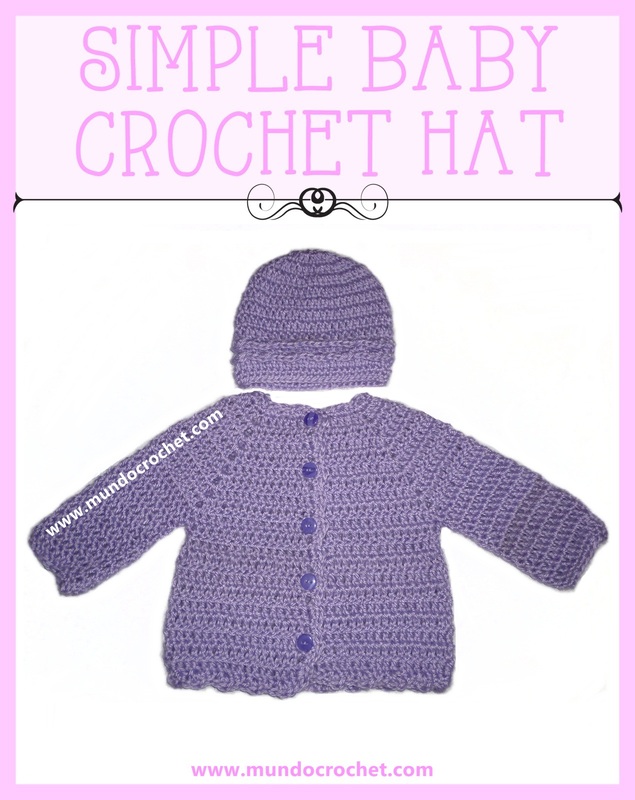 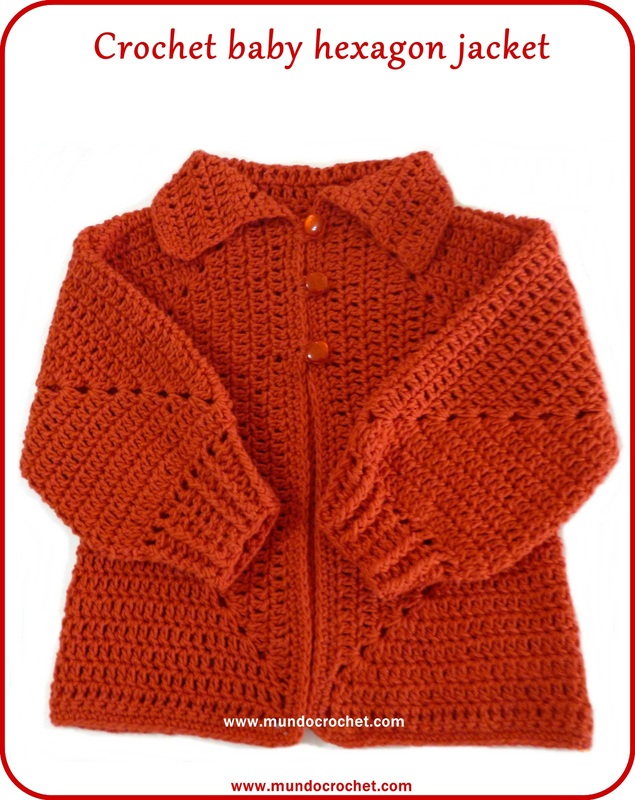 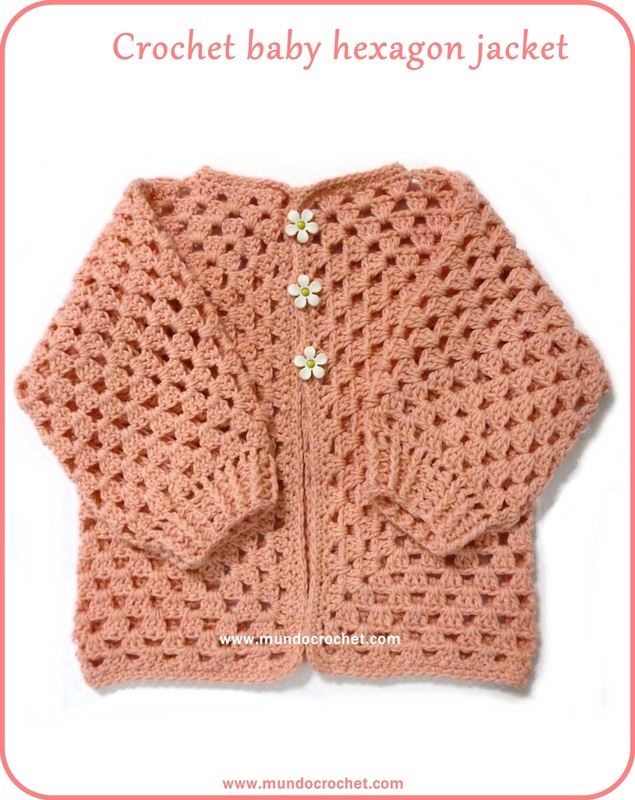 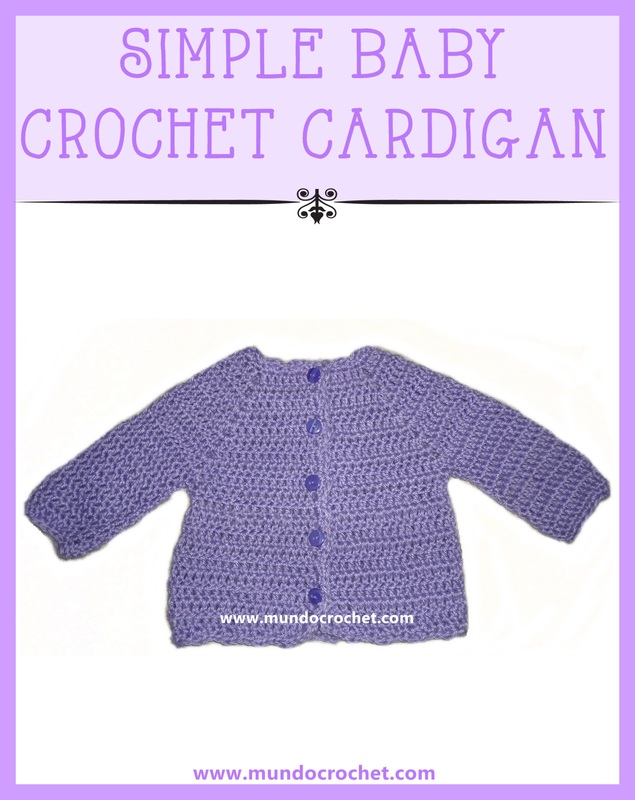 Today I want to show you this baby crochet cardigan that I made for my youngest daughter. 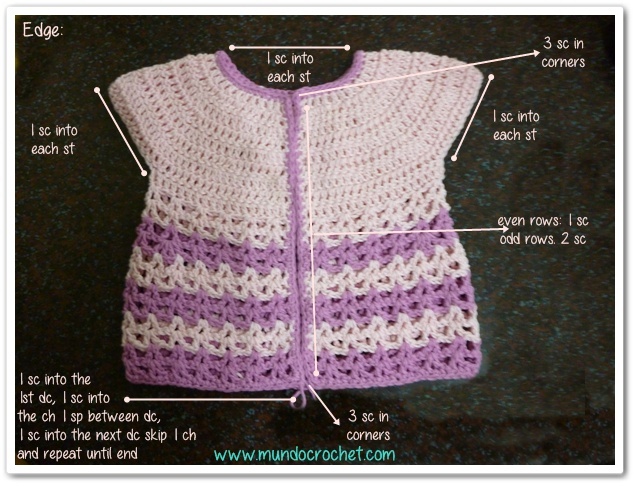 I just loved this project. 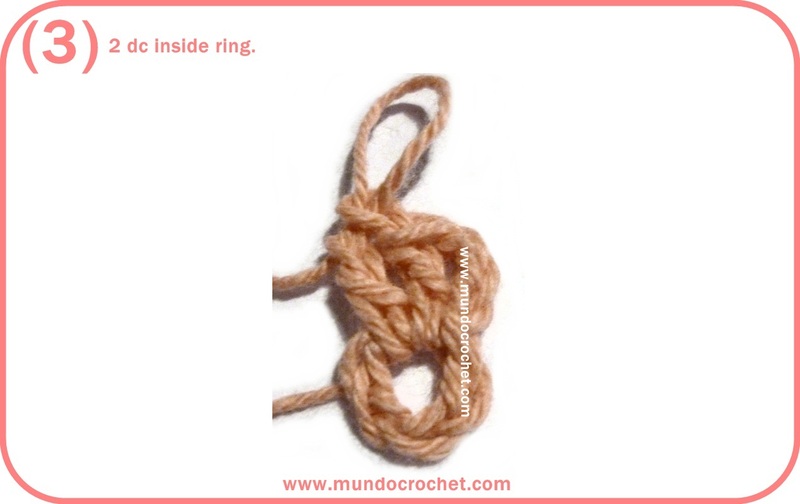 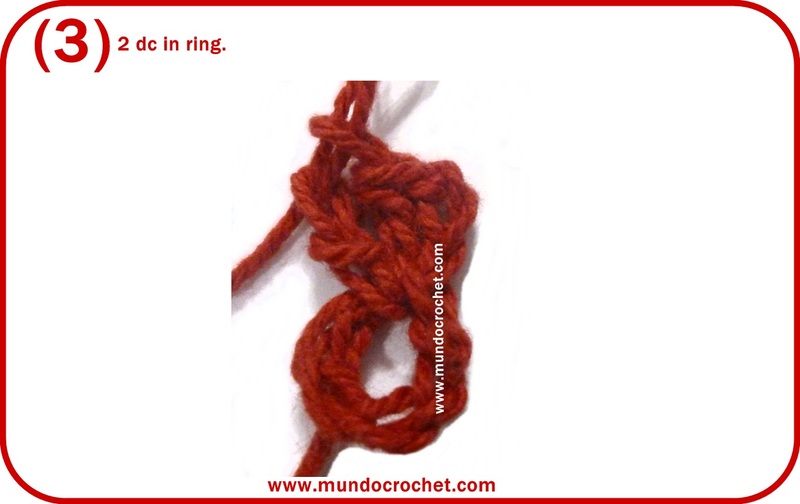 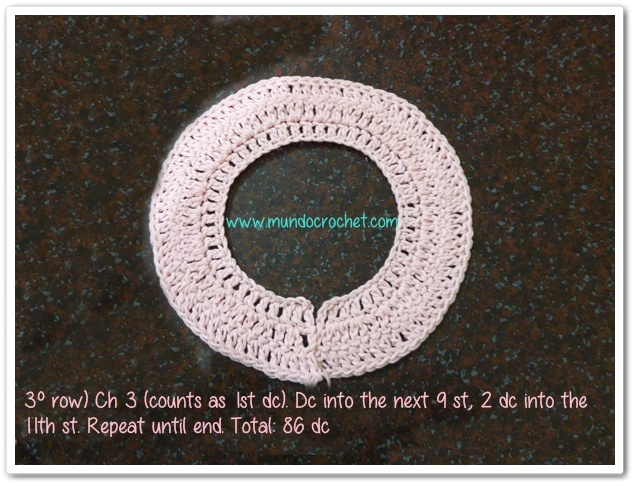 The round yoke gives it a feminine and original touch. 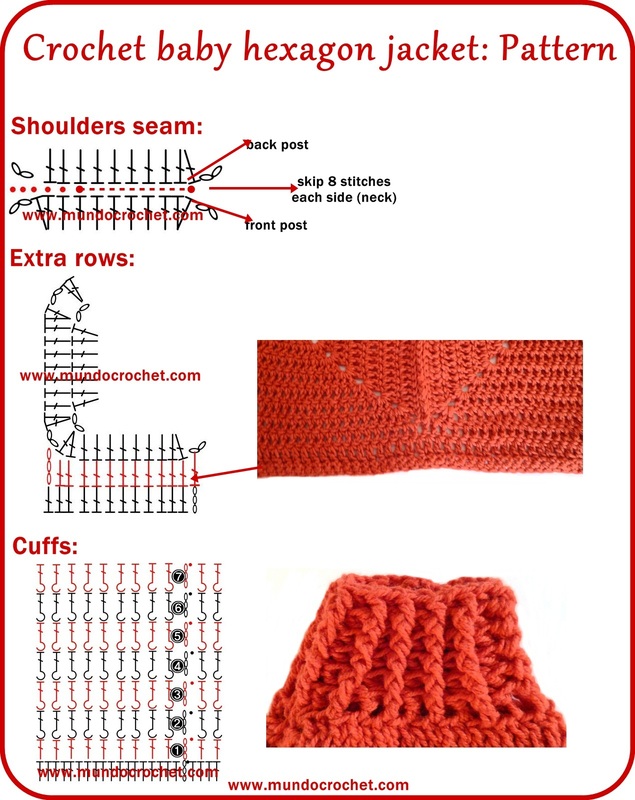 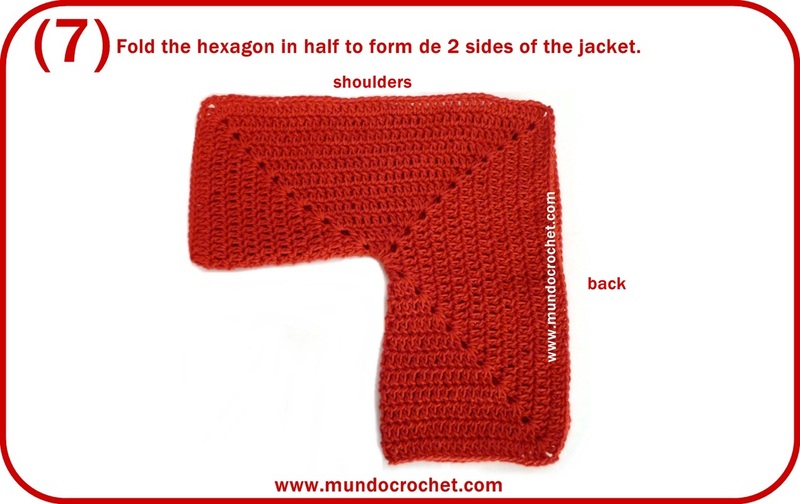 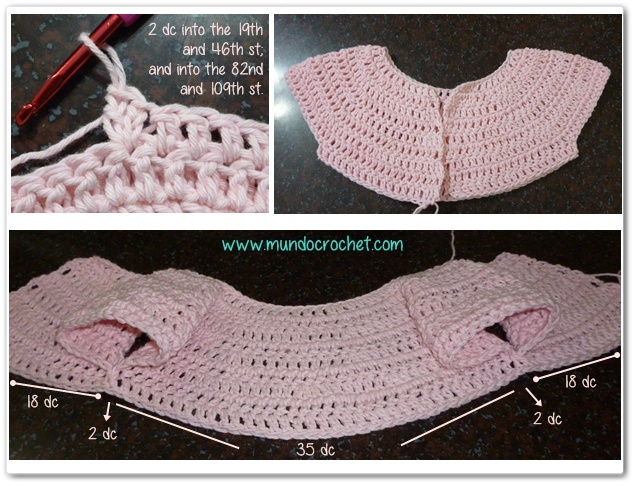 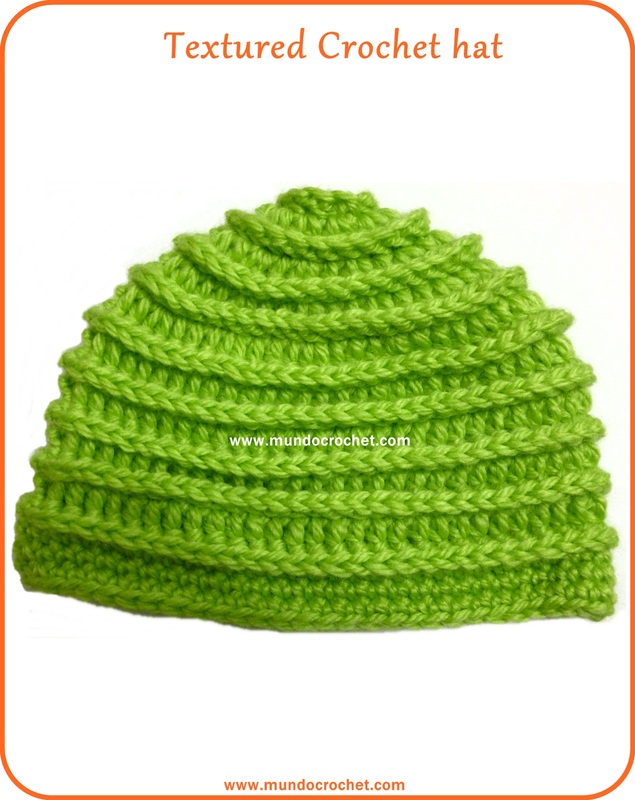 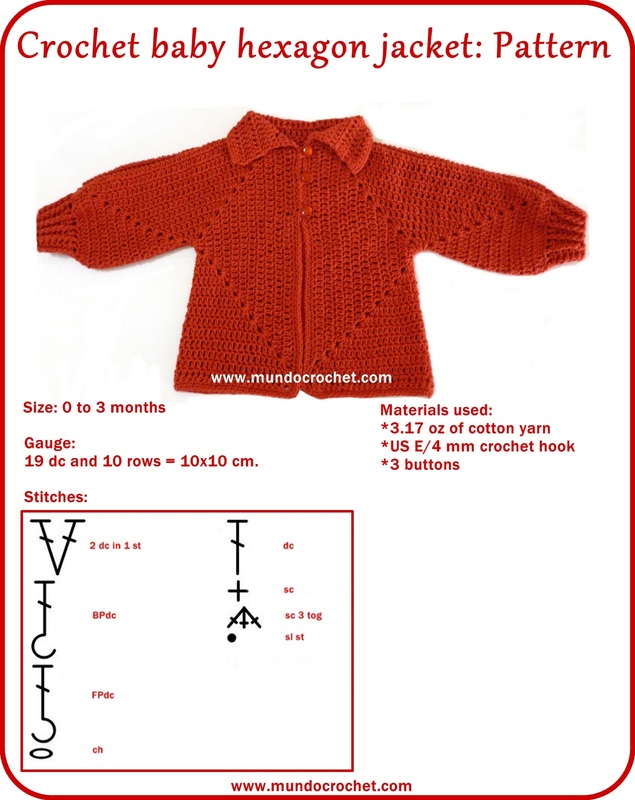 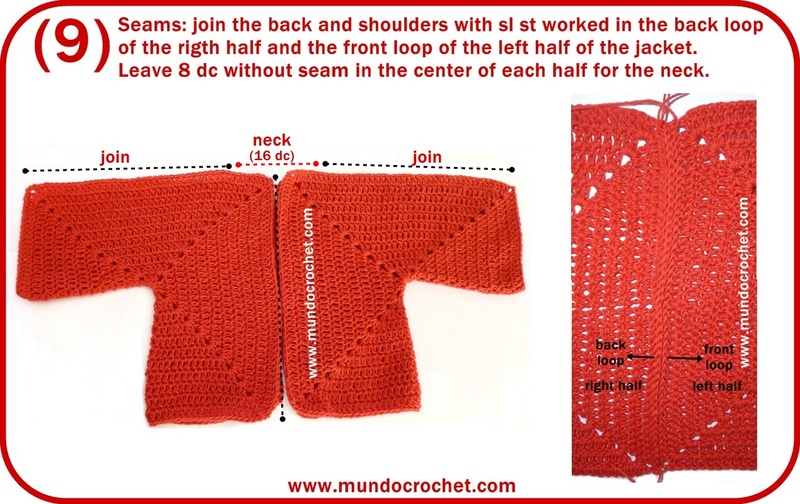 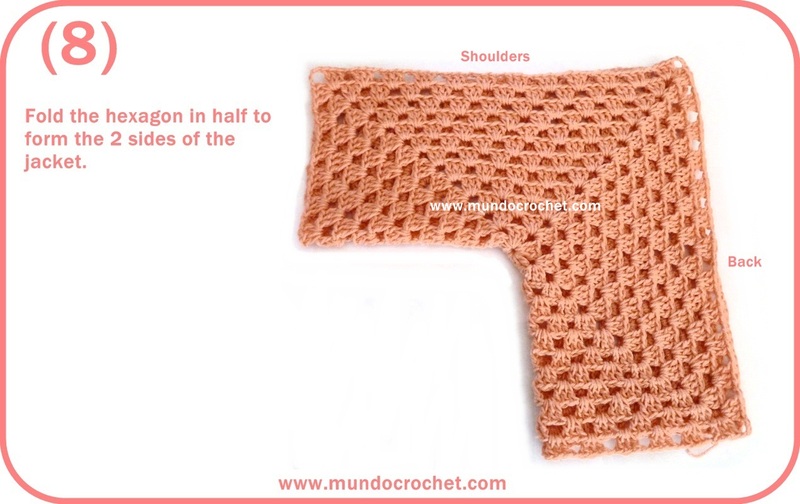 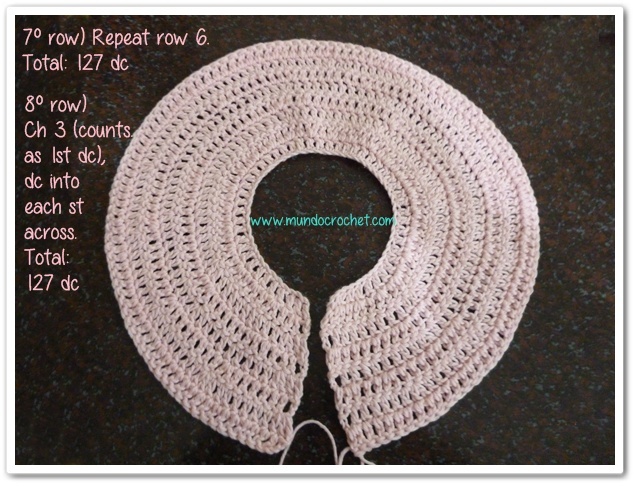 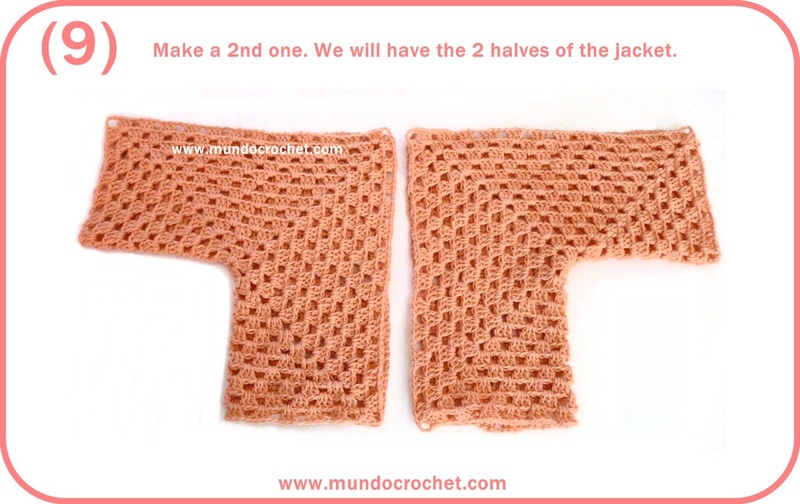 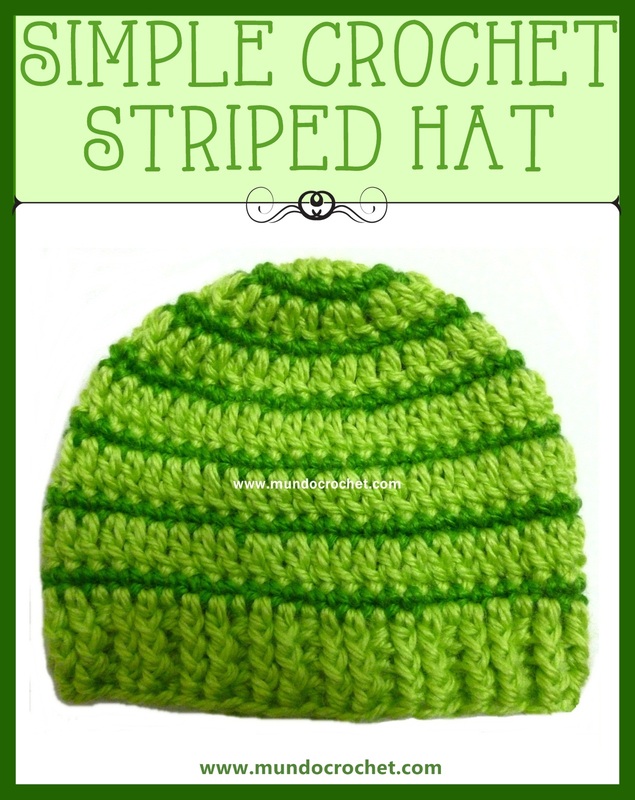 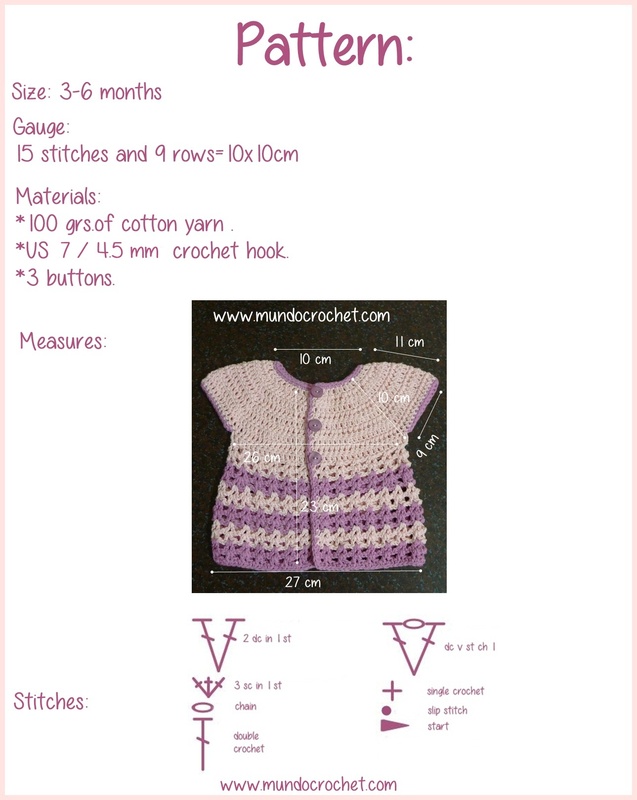 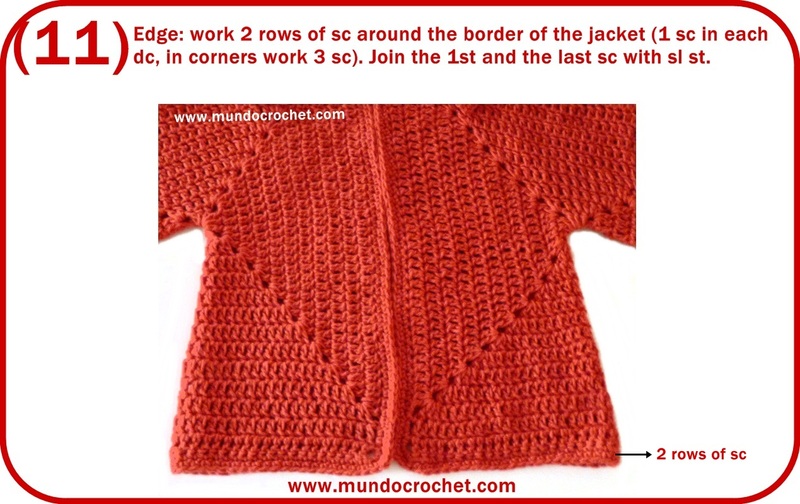 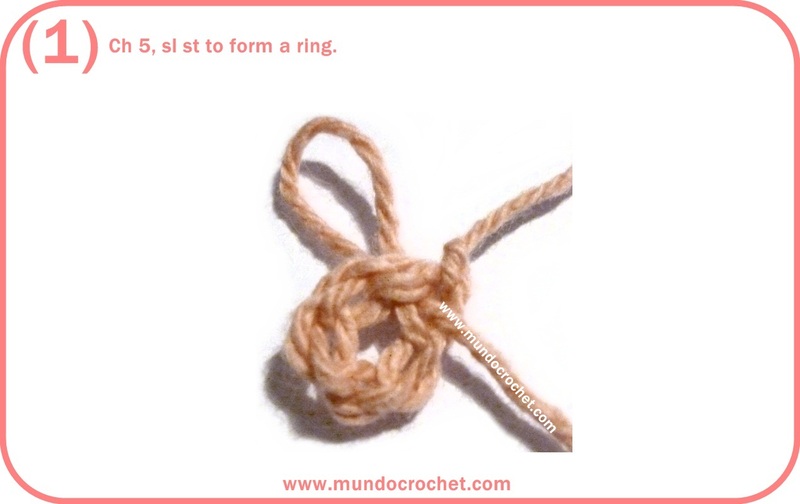 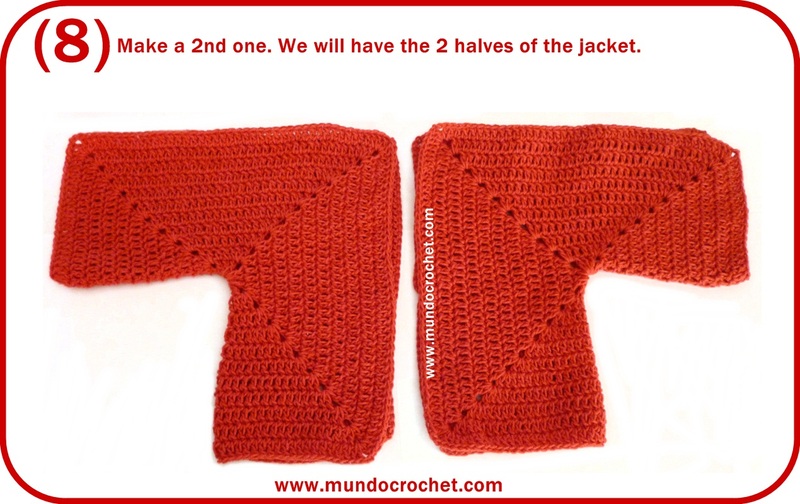 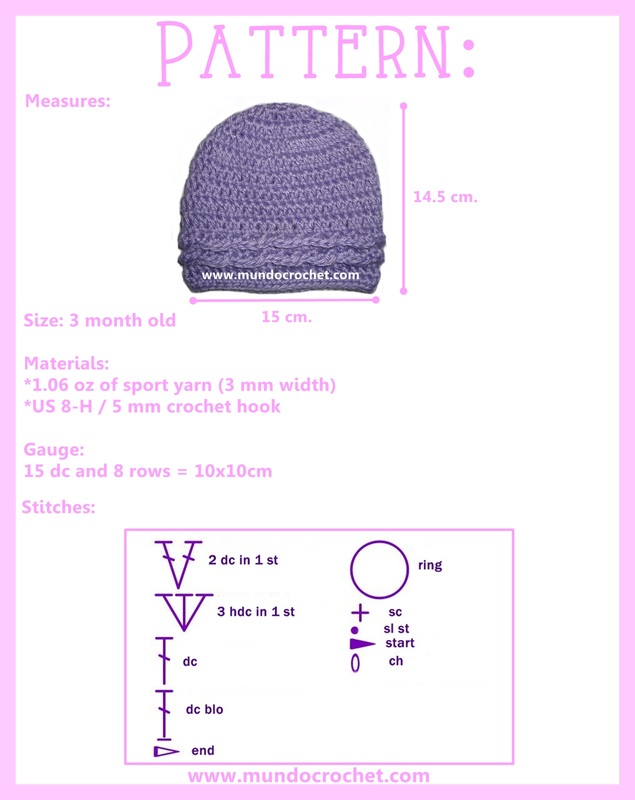 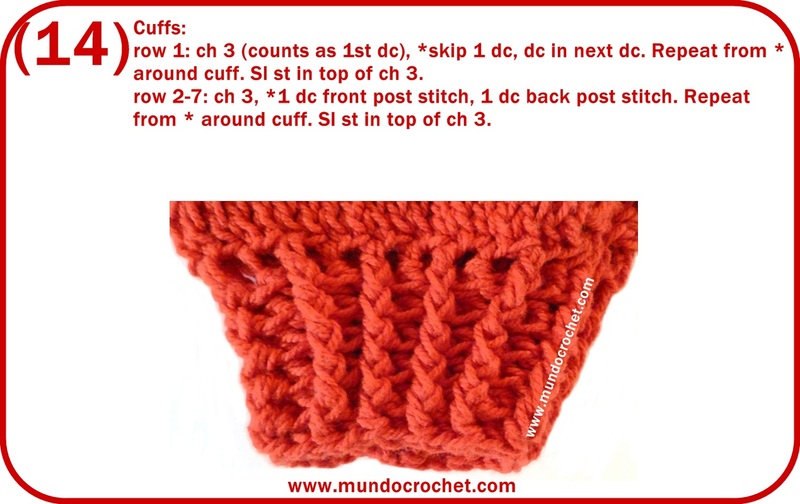 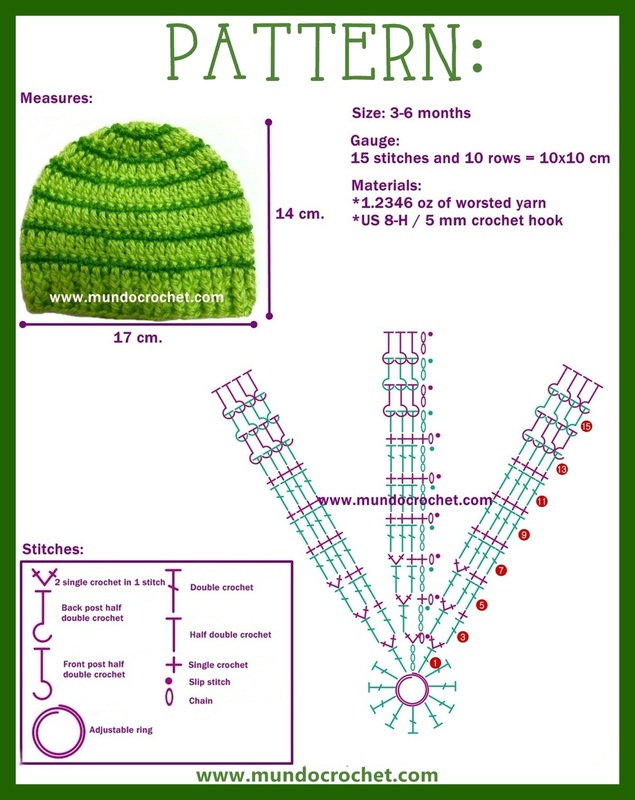 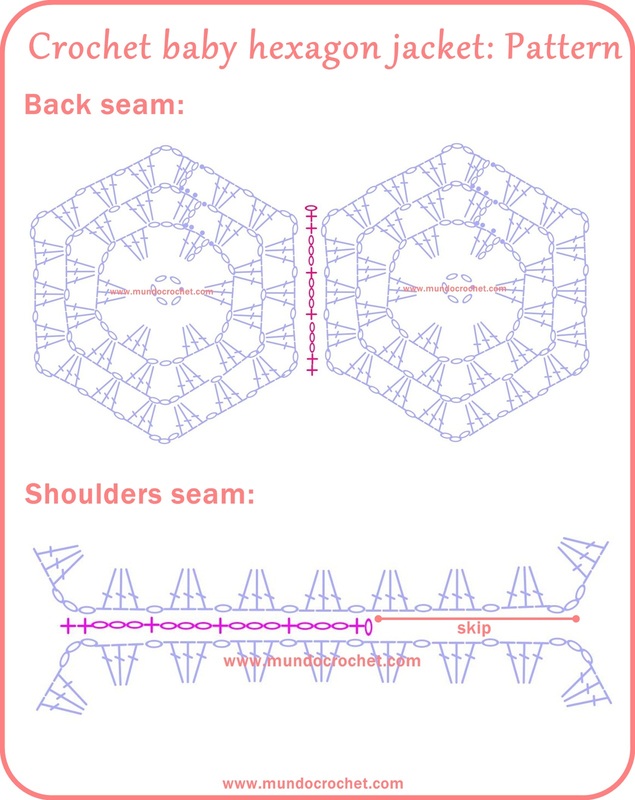 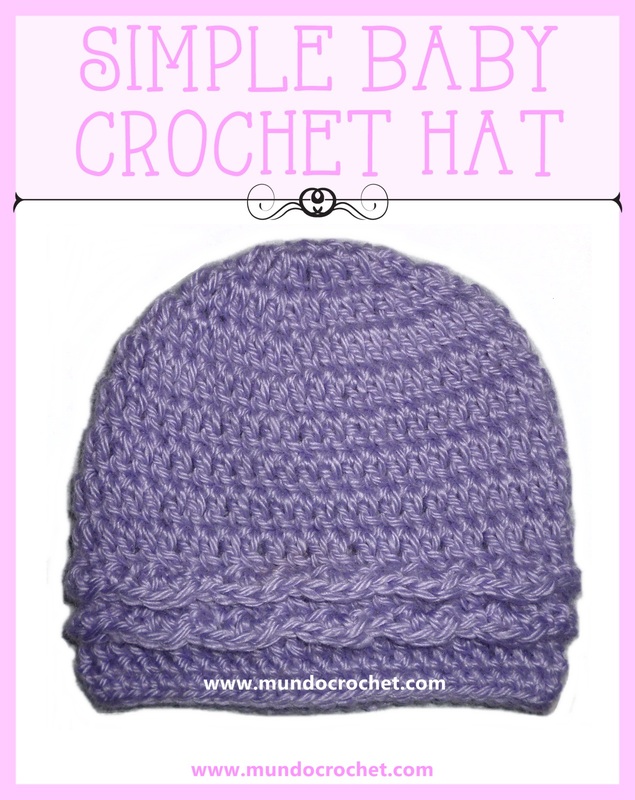 This is a very simple project once you learn how to crochet the yoke, especially when you have to divide it into fronts, back and sleeves. 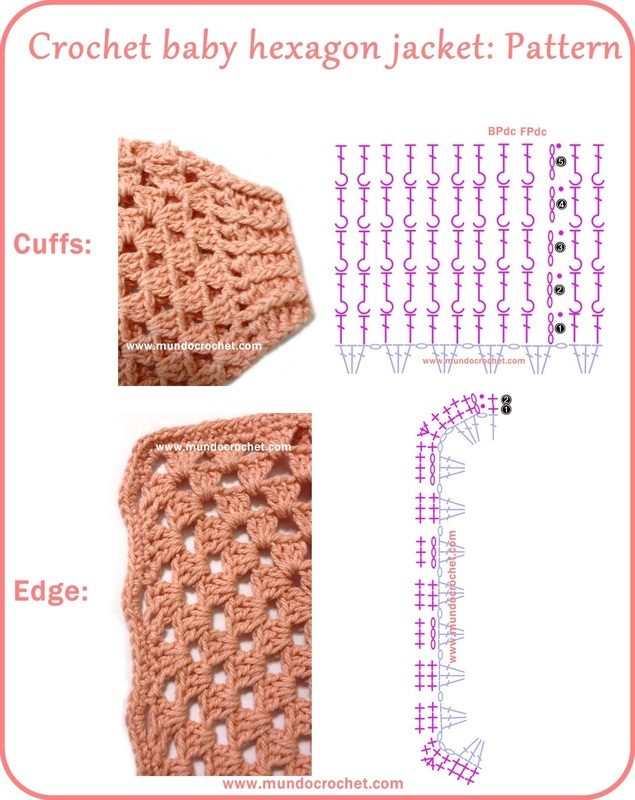 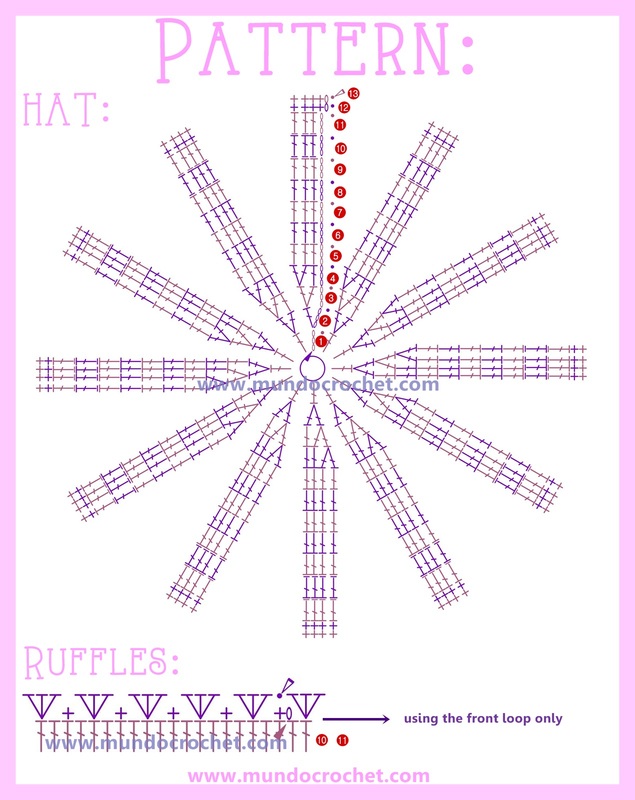 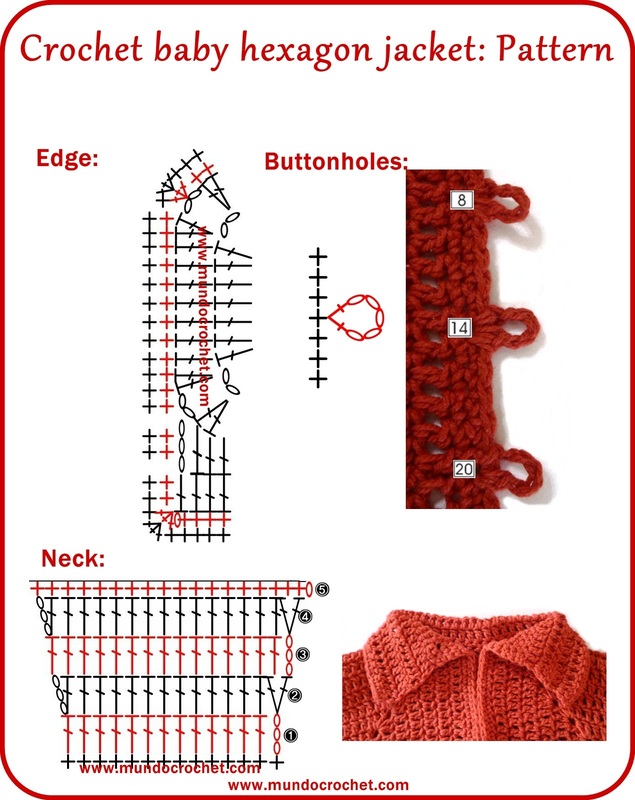 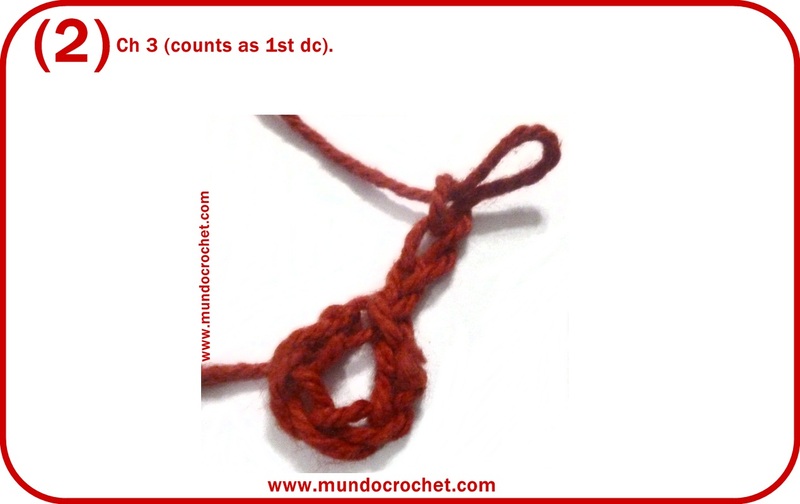 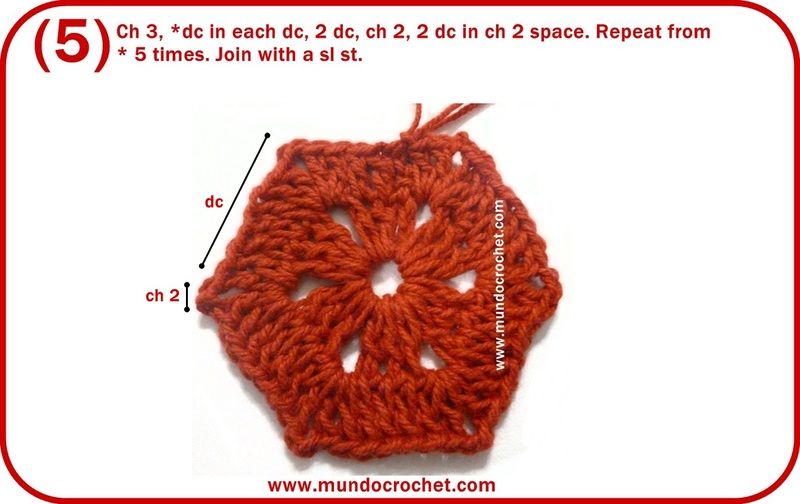 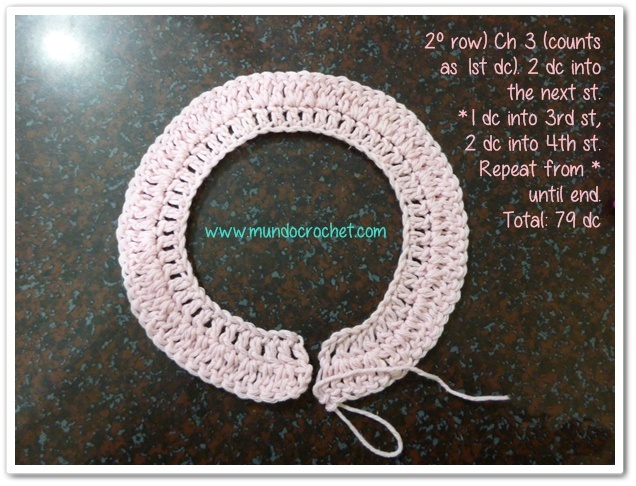 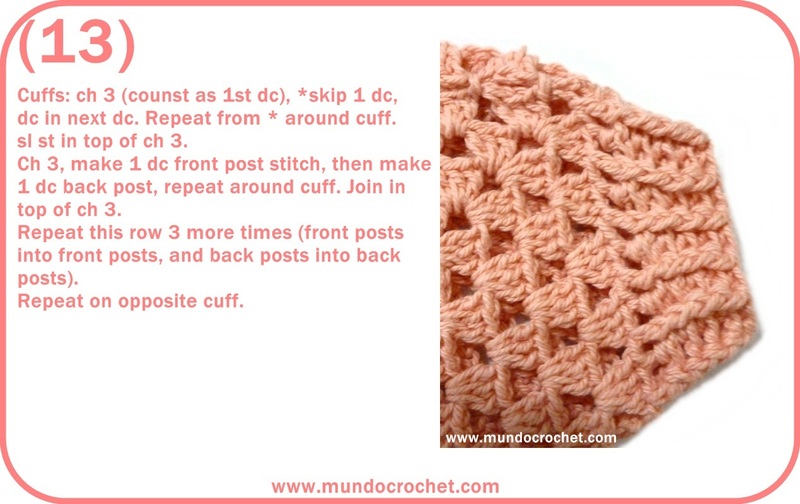 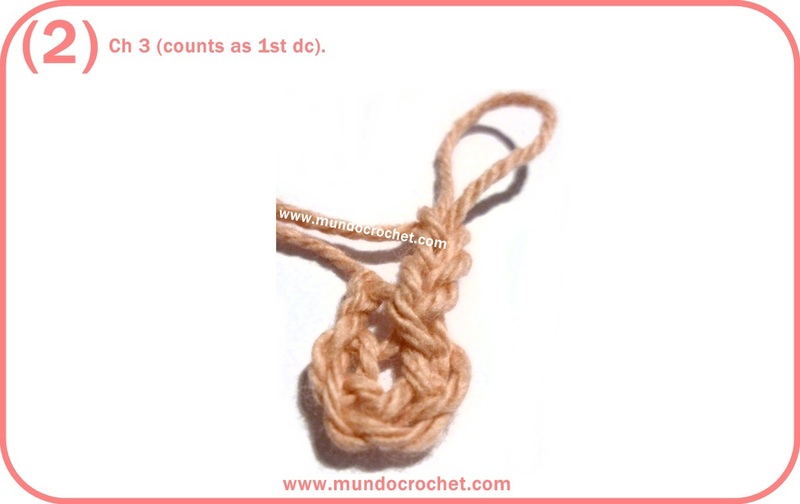 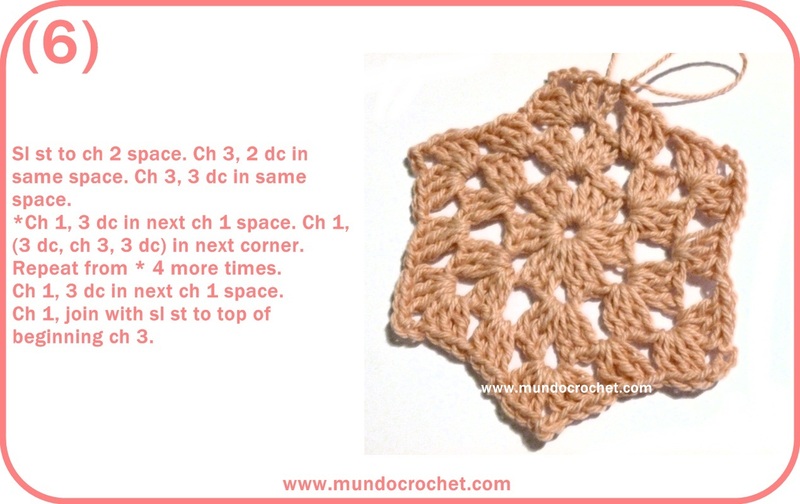 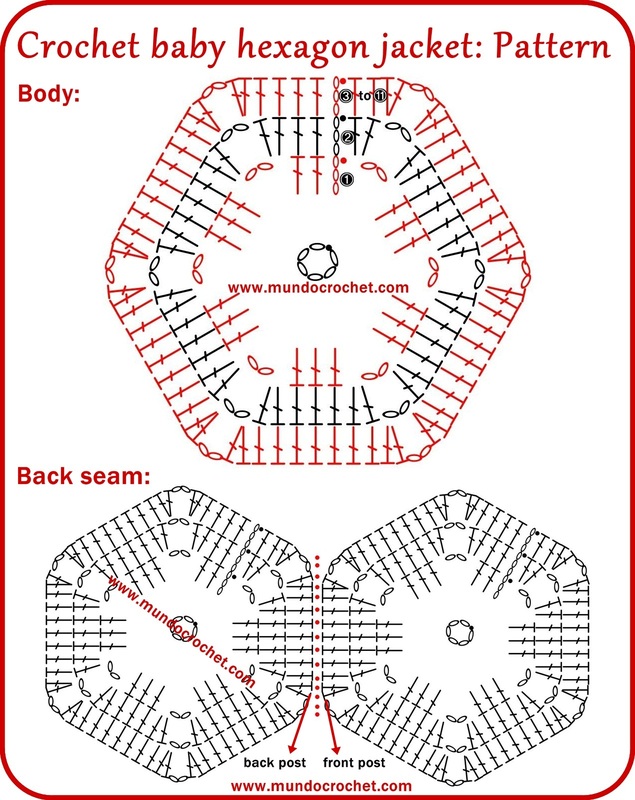 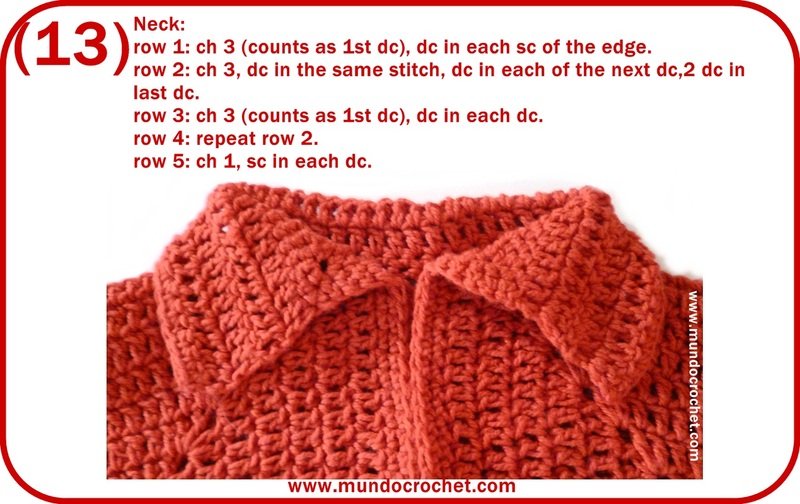 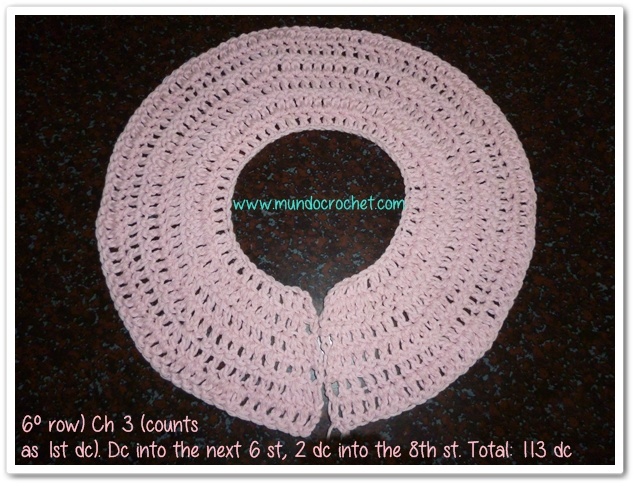 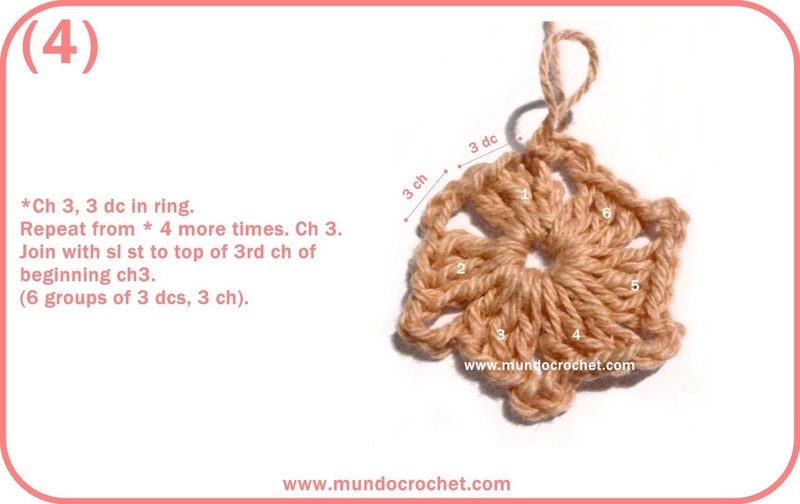 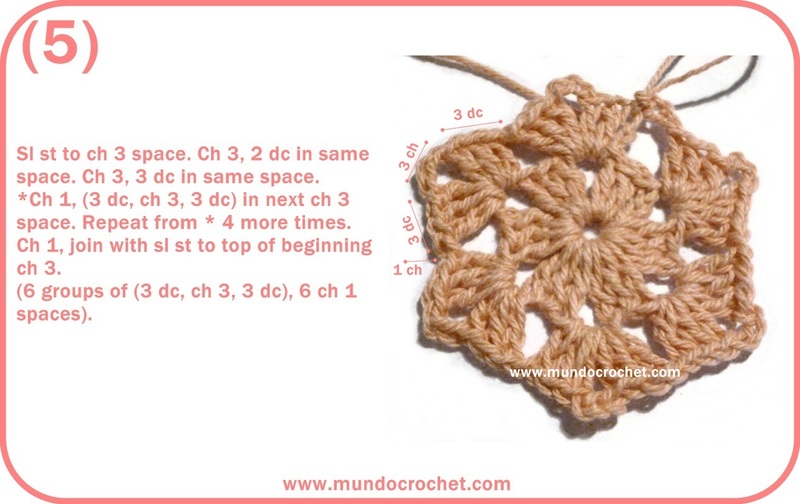 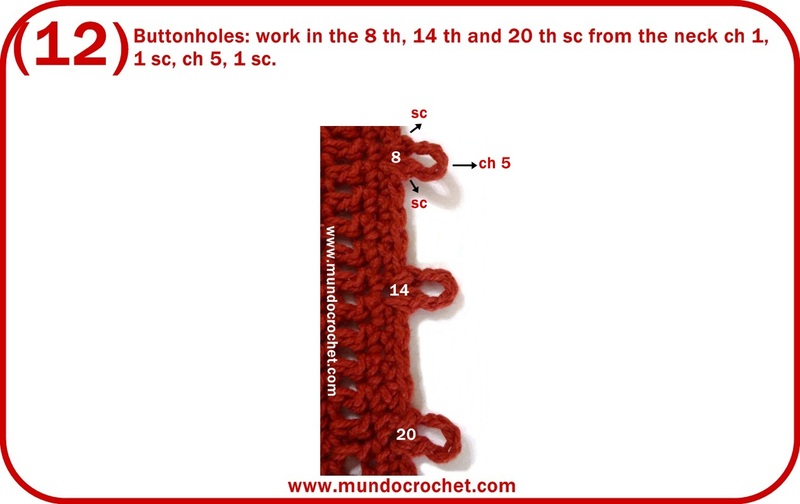 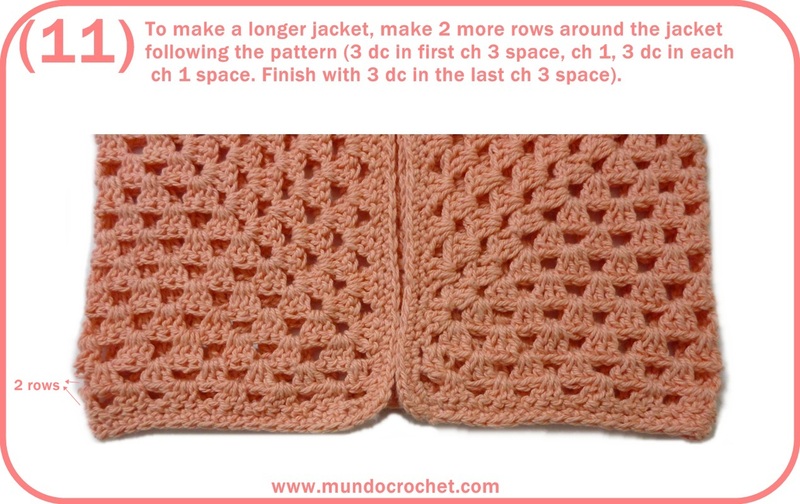 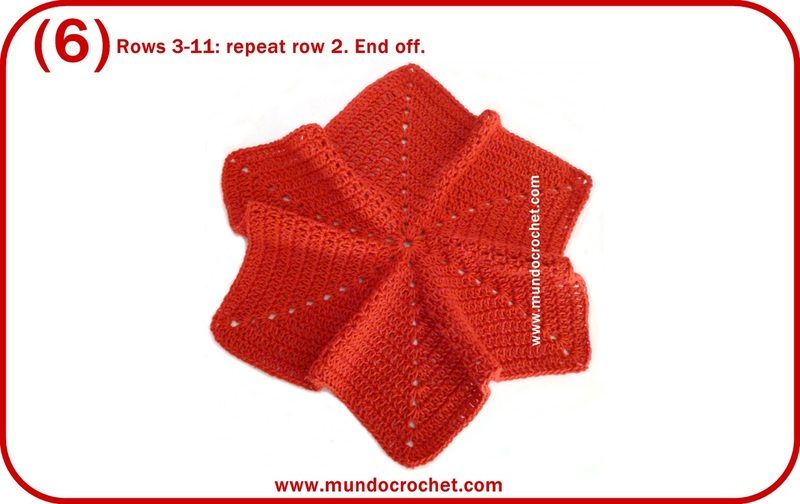 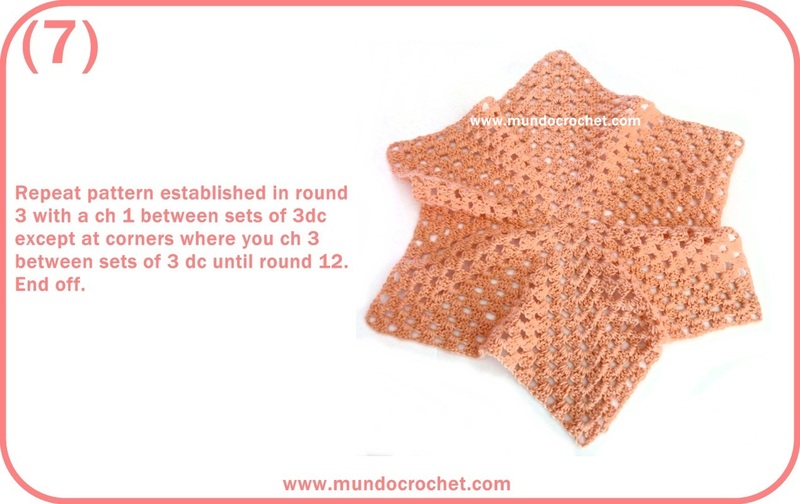 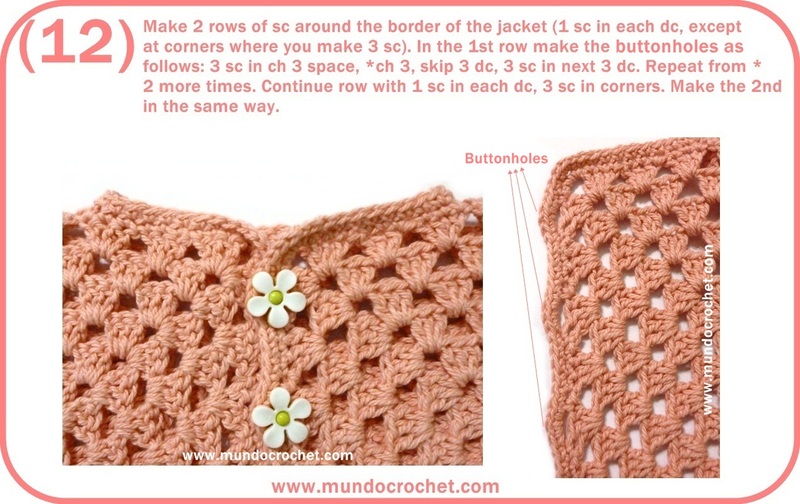 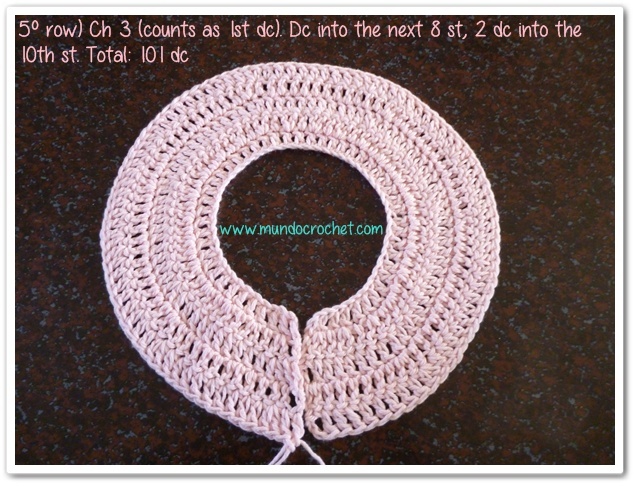 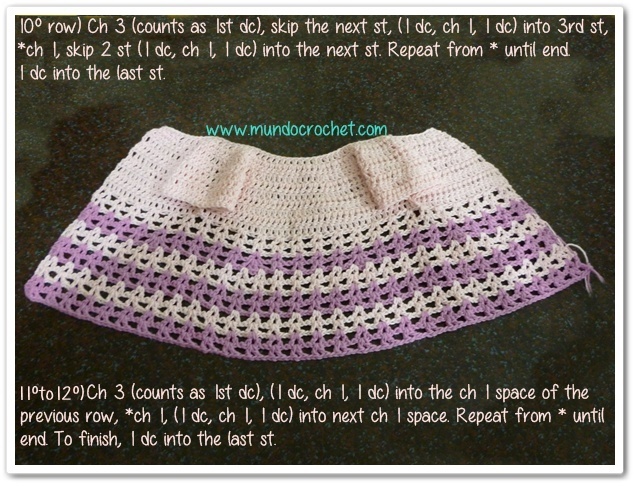 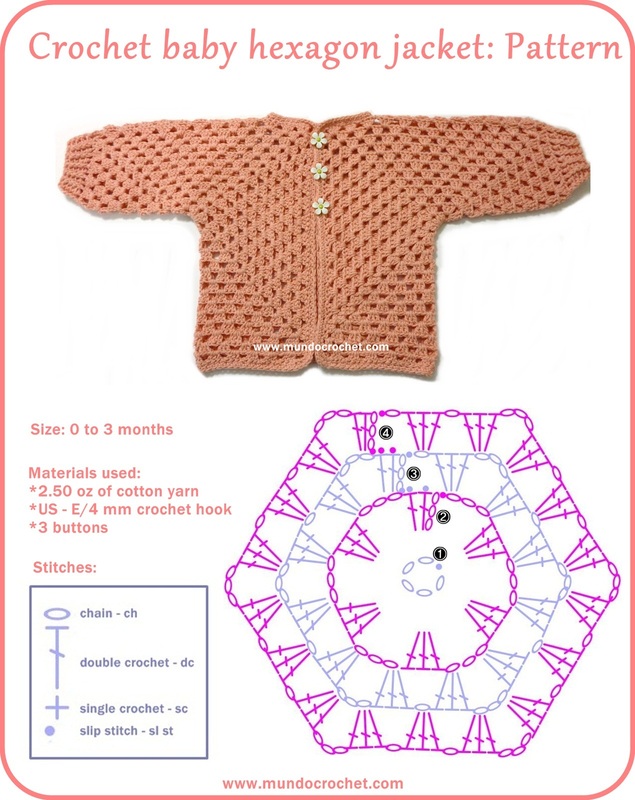 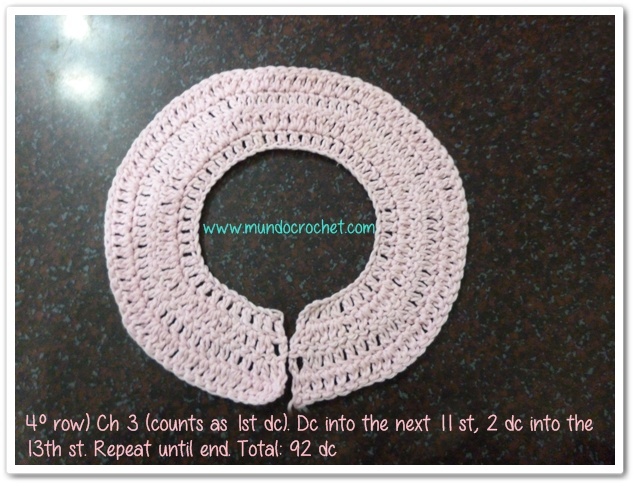 This step is similar to what we learned in the tutorial of the little girl crochet cardigan, the only difference is that in this project I crocheted 2 dc instead of 1 into de joining stitches. 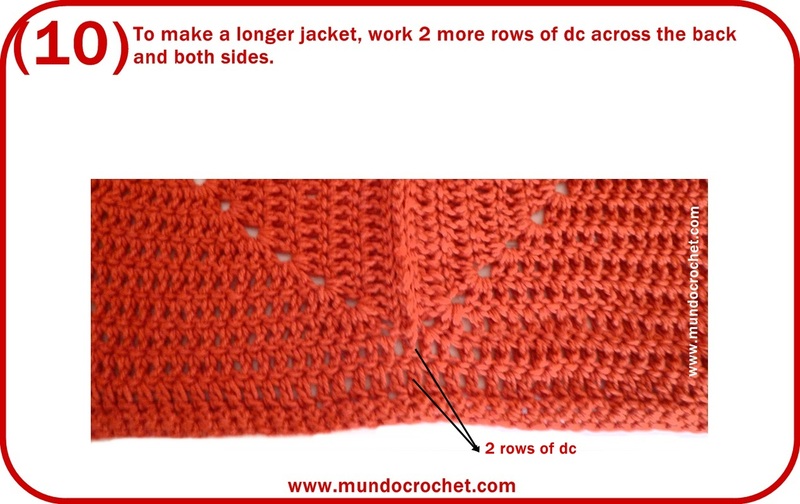 If you want to transform it into a sweater or jacket, you just have to continue crocheting 1 dc into each of the 26 stitches that we leave for the sleeves. 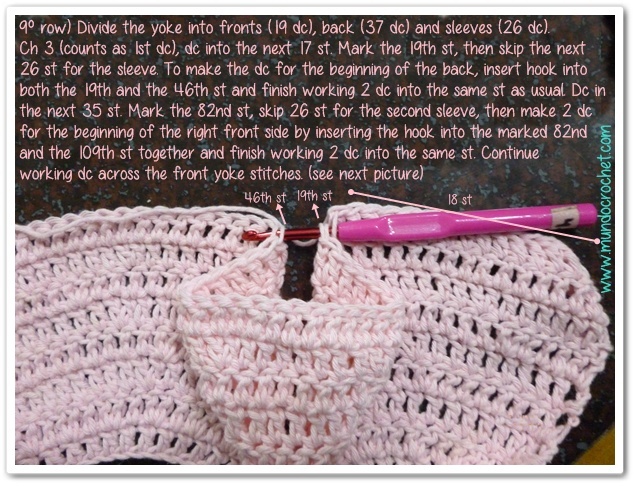 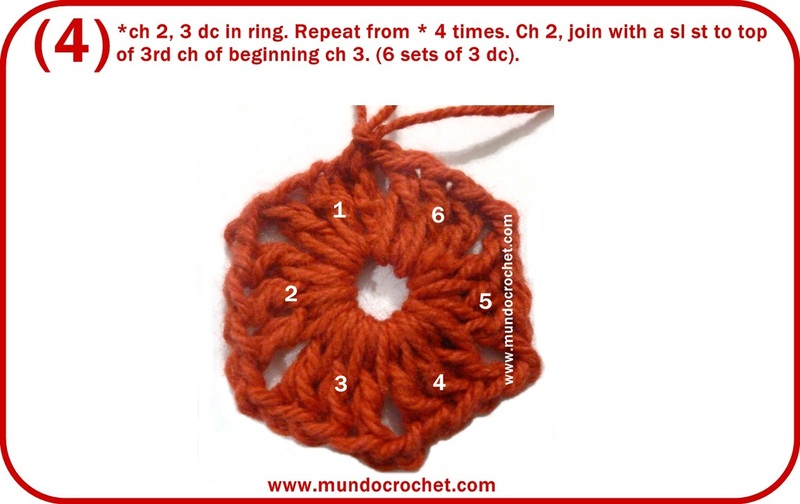 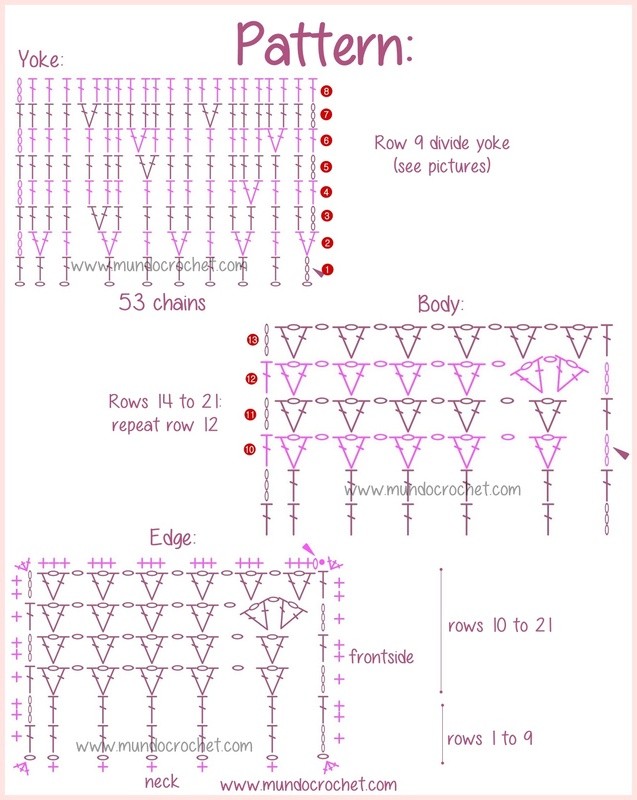 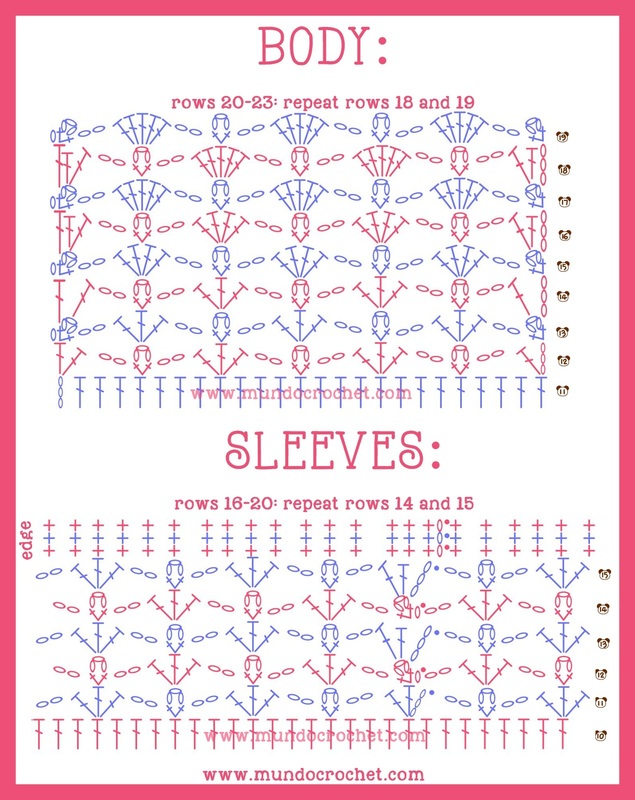 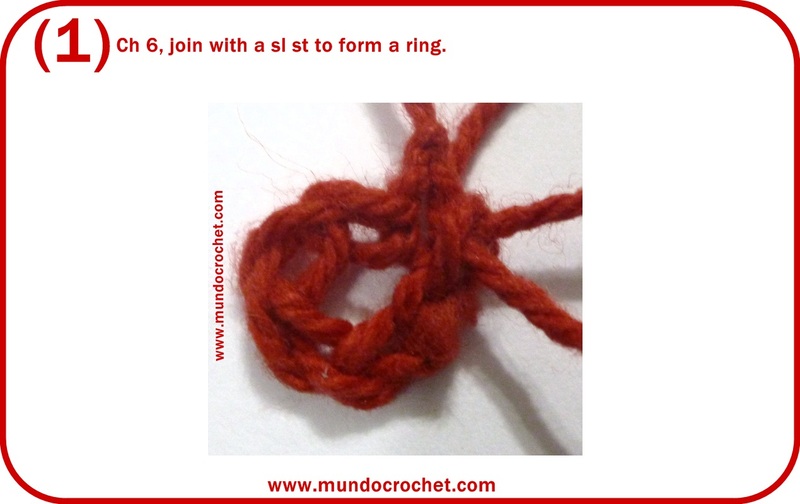 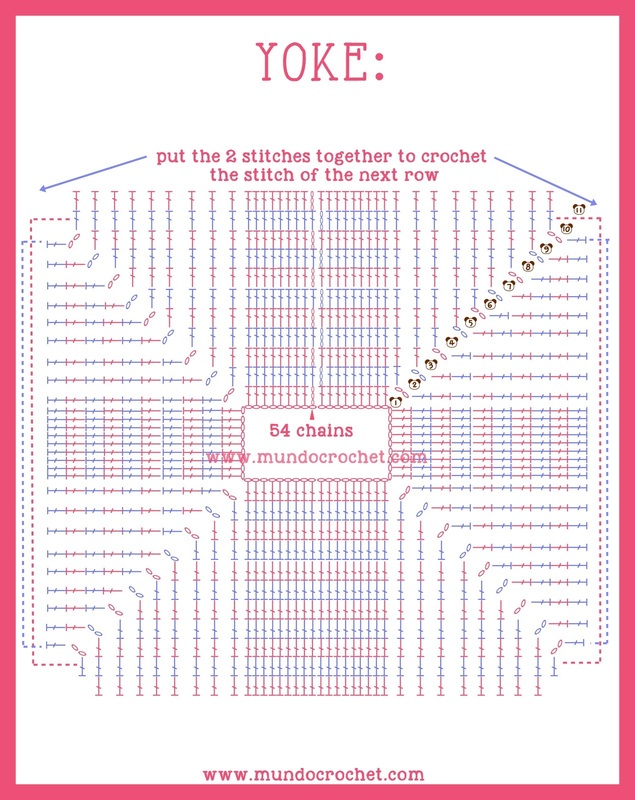 To increase the size, repeat rows 6 and 7 until you reach the desire size for the yoke. 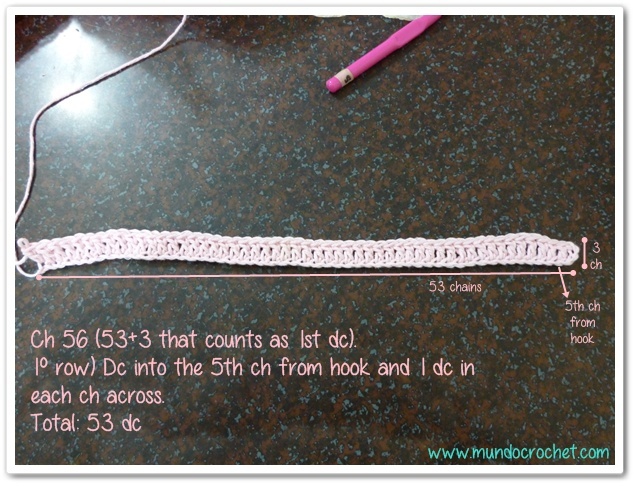 From there the rest of the steps are the same, only changes the number of stitches.